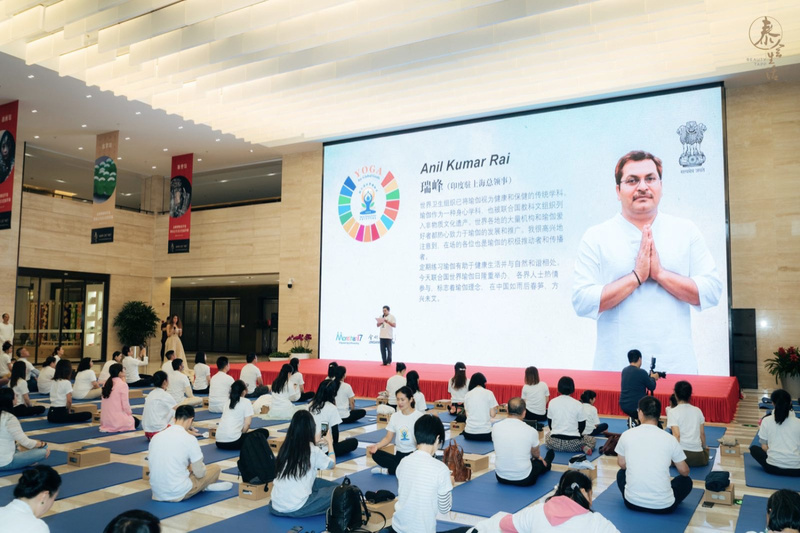 As part of the continuing celebrations of 4th International Day of Yoga (IDY) in the Eastern China Region, a special event themed ‘Yoga for Global Goals’ was organized by the citizens of Shanghai in partnership with an organization ‘Morethan 17’ and various Yoga studios from Shanghai under the guidance of Consulate General of India, Shanghai. 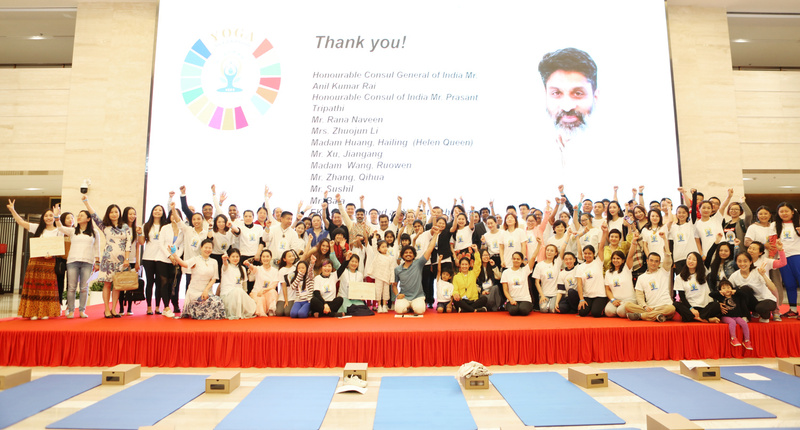 The objective of the event was to bring Yoga as an important medium towards achieving the UN SDG goals through individual empowerment. 2. 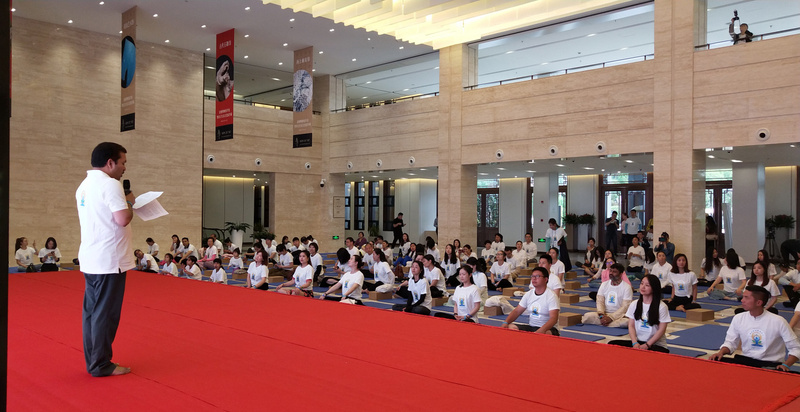 The event was conducted at prestigious Jingang Museum in Shanghai wherein nearly 400 yoga lovers participated in the Yoga celebrations. 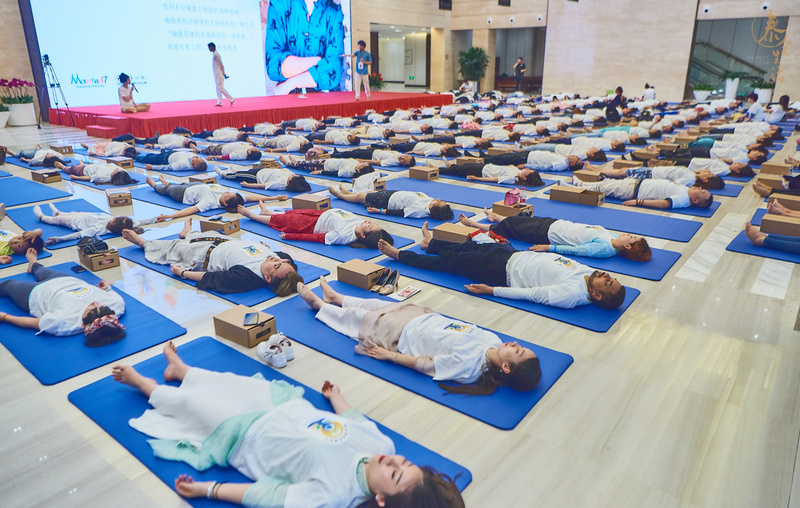 The event was conducted by several prestigious Yoga practitioners/instructors from Shanghai in English and Chinese. 3. 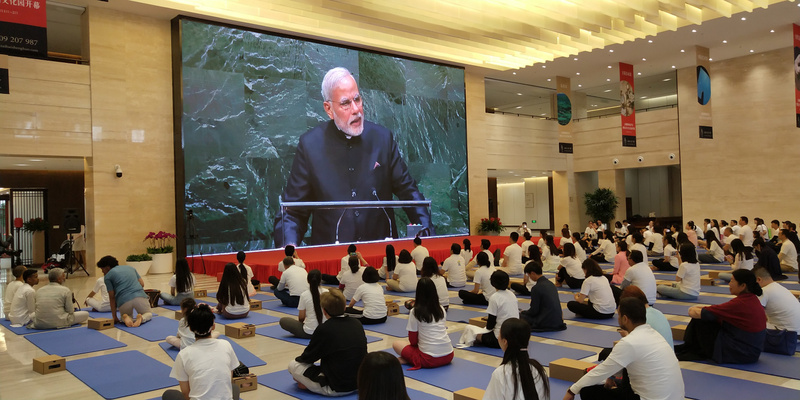 Inaugurating the event, Consul General in his remarks was very appreciative on the responsibility taken up by organization ‘Morethan17’ by using Yoga as a means, as a tool to ‘transform the world’ and go beyond the 17 goals set in SDGs - the 2030 Agenda for Sustainable Development. 4. On the occasion, a series of cultural performances from both India and China were performed, in which a number of local artists from Indian community including university students participated. 5. The event was conducted according to the Common Yoga Protocol prepared by the Department of AYUSH. 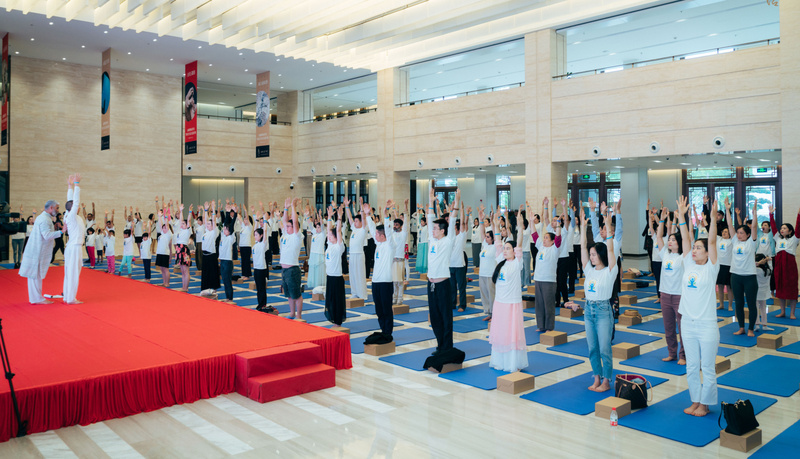 The event was extremely well received by the large number of Yoga follower community in Shanghai.